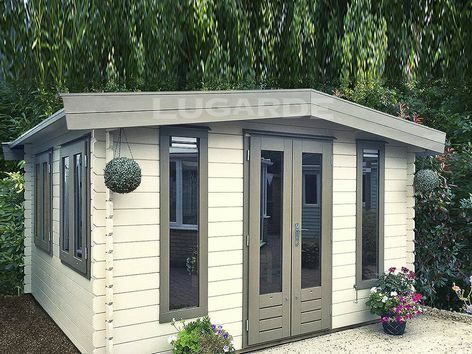 The Lugarde York measures 2.5m in height and has a shallow apex/ridge roof fitted with EPDM rubber. Ideal if you prefer the look of a classic log cabin but still need to keep under the 2.5m height limit if within 2 metres of a boundary. Size approximately 3.6m x 3.6m in 28mm log thickness. The standard package includes 1 x PE26H double door, 2 x PJ07 tall windows and 2 x PE21 windows. 24mm double glazing is standard.